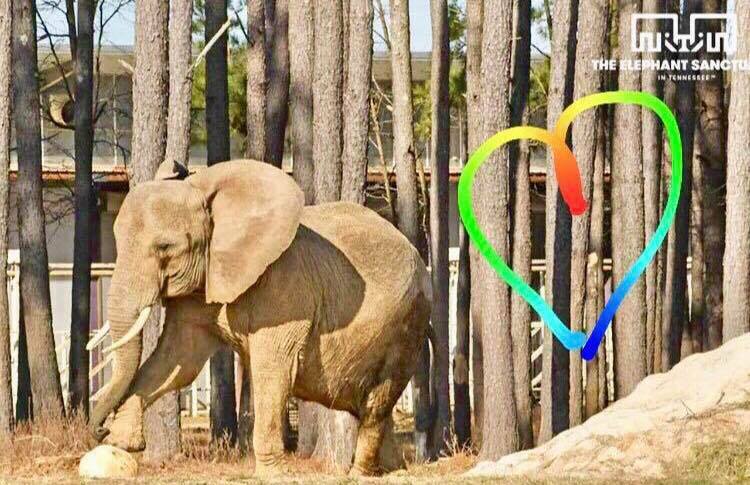 For Immediate Release – Satellite Beach, Florida, January 22, 2018 – A Lawrence County, Alabama judge has ruled today that Nosey the elephant will be able to stay in true sanctuary at The Elephant Sanctuary in Tennessee. A case against Nosey’s notorious owners, the Liebel Family Circus, was heard on December 15, 2017, and Judge Angela Terry has ruled that Nosey will remain at the Sanctuary PERMANENTLY! We thank the good people of Alabama for their perseverance and follow through. We thank our supporters who have always believed that this day would come for Nosey, and we thank all the other organizations who worked hard for Nosey for many years. This effort to help Nosey and other captive elephants had a simple beginning. In 2014, two Nosey advocates began a conversation that led to a Call-In Action for Nosey event on Facebook. They asked fellow advocates to contact the USDA and urge them to refuse licensure for Nosey’s keeper. In spite of many calls, faxes, emails, and letters, the license was granted, and so it was decided to continue the work by starting a Facebook Group. Save Nosey NOW! was born. Since 2014, the Save Nosey NOW! Facebook group has grown to more than 3200 members. In June 2015, we organized Save Nosey NOW! We Are Her Voice, a peaceful demonstration at the USDA in Washington, DC. People from all over the country gathered to protest renewal of Liebel’s license and to urge the USDA to confiscate Nosey. In January 2016, we hosted the successful Nosey Summit, which brought together major advocacy organizations, including PETA, Animal Defenders International, the Animal Legal Defense Fund, CompassionWorks International, and In Defense of Animals, to share and strategize actions for Nosey. 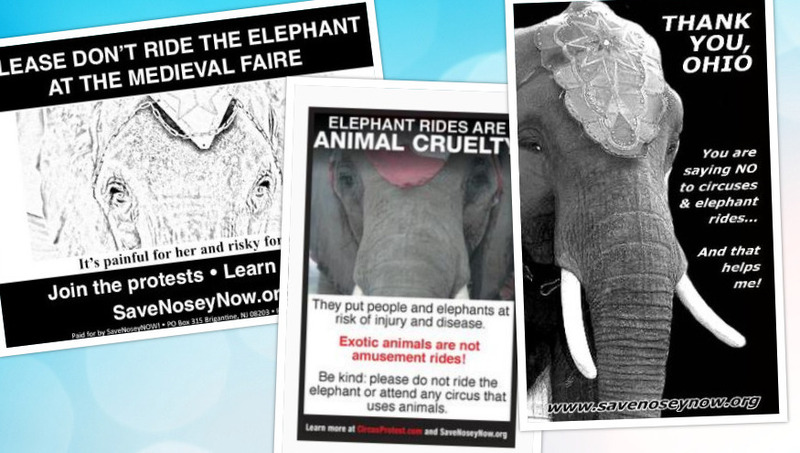 In July we launched Nosey’s Ad Campaign to tell her story in local newspapers where she is performing. Working with other anti-circus advocates, we have also been successful in encouraging venues to cancel Nosey’s appearances. In order to expand our impact on the lives of captive elephants, SAVE NOSEY NOW, INC. was registered as a nonprofit corporation in Florida in March 2017. 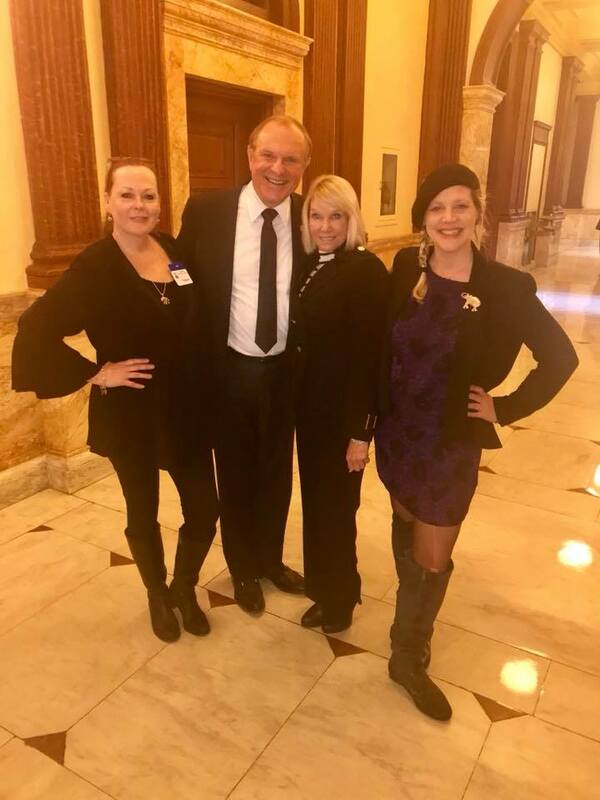 For Immediate Release – Satellite Beach, Florida, January 8, 2018 – Save Nosey Now, Inc. celebrates incredible news today as the New Jersey State Senate voted unanimously (31-0) to pass Nosey’s Law (A4386/S2508), banning exotic animal circus acts statewide! The legislation is named in honor of Nosey, an African elephant who has been used and abused in the circus for nearly 3 decades. Nosey was confiscated in the small town of Moulton, Alabama recently after she was found tightly chained, confined in her own waste, and without proper shelter. Nosey is arthritic and has several serious medical conditions. She is currently residing at an elephant sanctuary while awaiting a decision on her fate from the Alabama court. Save Nosey Now administrators and advocates have been on hand for each important milestone as Nosey’s Law began the rounds of committees last year. The bill initially passed the senate as a ban on elephant acts, but today’s vote considered the amendment added by Assembly sponsor Raj Mukherji to extend its protections to ALL exotic animals. The bill now goes to the governor for signature, which could take place as early as tomorrow! 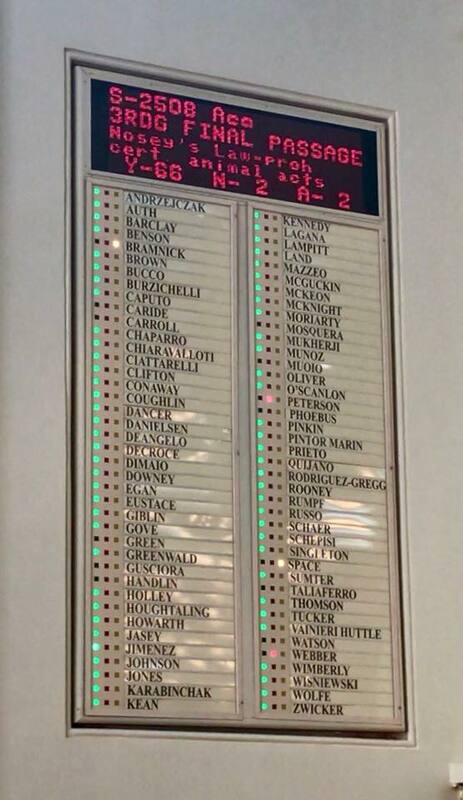 Coincidentally, state sponsor Senator Raymond J. Lesniak’s last day in the NJ Senate is also tomorrow. We send out a huge thank you to sponsors Sen. Lesniak and Asm. Mukherji for their dedication to stop circus suffering and to the New Jersey advocates who brought this to fruition. Press Release – Will the USDA Deny the Annual Renewal of an Exhibitor License for Notorious Abuser Hugo T Liebel? For Immediate Release – Satellite Beach, Florida, January 4, 2018 – How long must Nosey the elephant suffer at the hands of her abuser? Are three decades enough? A Florida based nonprofit organization, Save Nosey Now, Inc., says it’s time to stop these automatic renewals. 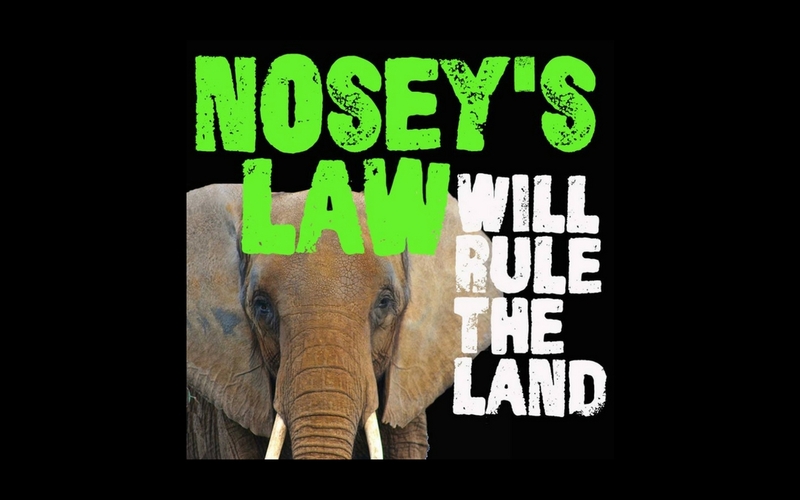 Save Nosey Now, Inc. has submitted a 400 page complaint (including a list of 50 exhibits) to the United States Department of Agriculture (USDA) advocating for the denial of the Exhibitor License of Hugo T. Liebel, owner of Nosey, a long-suffering elephant. The license is scheduled to automatically renew on January 30, 2018 through the USDA’s administrative process (as it has done for a quarter of a century). Also at the state and local level, Lawrence County, Alabama officials seized Nosey on November 9, 2017, after she was found chained, standing in her own feces with inadequate food and water available. Nosey was sent for safekeeping to The Elephant Sanctuary in Tennessee, a highly accredited sanctuary for former circus and zoo elephants. Rubber stamping Liebel’s license through an annual administrative procedure that only requires Liebel to pay a small fee, provide access to USDA officials, and sign a SELF certification form stating he is in compliance with the Federal Animal Welfare Act (AWA). This procedure does not require actual showing of compliance with regulations. Lack of follow up to thousands of citizen complaints since 1993, including egregious complaints about no access to food and water, failure to provide veterinary care for a serious skin condition that had developed an antibiotic resistant bacterial infection that could become septic (Liebel was cited 20 times for this violation), and confining Nosey to her transport trailer for hours or overnight with no ability to raise her head or trunk or make normal postural adjustments or turn around. Nosey’s fate is currently in the hands of Lawrence County, Alabama District Judge Angela Terry, following 10.5 hours in a final hearing held on December 15, 2017. This will decide if Nosey gets to remain at the sanctuary or is forced to return to her abuser. A license denial by the USDA would seal Nosey’s fate for the former. However, without public pressure, even pending animal cruelty charges filed against Liebel in Alabama (trial set for February 8, 2017) are not enough to legally stop the USDA from issuing Liebel his 2018 license. 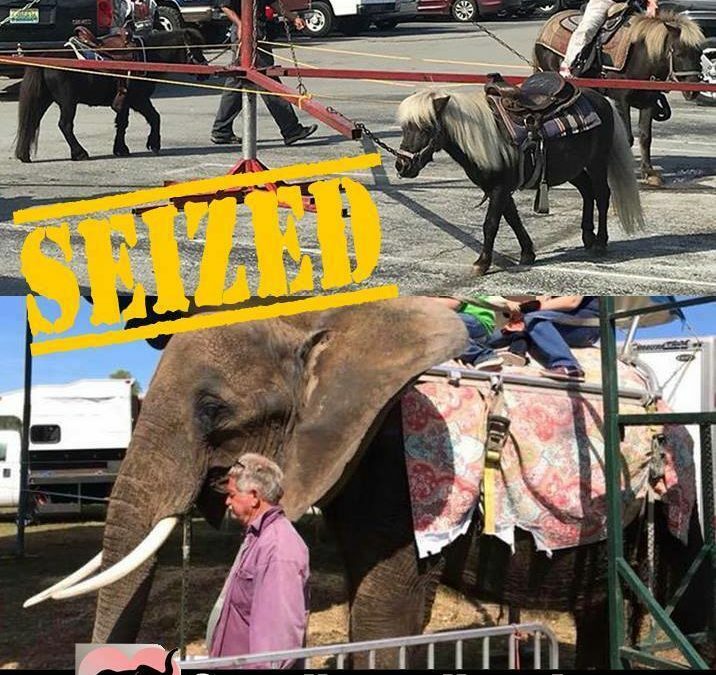 The public deserves to know about the USDA’s failure to act on its own regulations and about the suffering this has caused Nosey, as well as the public safety risks involved. Please let us know if we can provide you with more information. Any of the exhibits can be provided upon request. Appendix A details the lengthy history of the case. Appendix B details the specific violations of the AWA. The incident reports detail the 2017 venues where Liebel exhibited Nosey, as documented by Save Nosey Now, Inc., from around the country. Additional photos and videos are readily available and can all be authenticated. Nosey is a 35 year old African elephant who was stolen from the wild in 1984 at the age of 2 when her mother and the adult members of her family herd were slaughtered in a cull perpetrated by the government of Zimbabwe. Sixty-two baby elephants were separated from their families and purchased by an eccentric millionaire, Arthur Jones, of Ocala, Florida. If the sanctuary becomes a permanent home for Nosey, she will be greeted by an old childhood friend, Sukari. Nosey and Sukari spent about 4 years of their young lives together in Ocala, Florida, before being separated. Nosey was purchased by the Liebel family in 1986. She has been kept alone and isolated since that time, and is used for elephant rides and circus shows under threat of beatings and deprivation. Save Nosey Now, Inc. is committed to working on Nosey’s behalf until she is finally living in deserved sanctuary.